Moyraverty Arts and Drama Society will perform their second show of the year in Portadown Town Hall. Fresh from the success of Annie in Lurgan Town Hall the other half of MADS juniors will perform The Little Mermaid. The show will be performed on Friday, February 13 at 7pm, the Saturday at 2pm and again at 7pm and ends on the Sunday at 7pm. 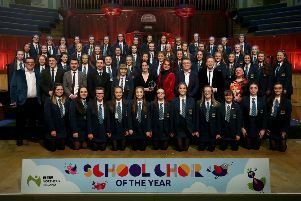 The show will feature a very talented cast and the part of Ursula the Sea Witch will be performed twice by 15-year-old Dáirine McCaughley, the current Craigavon and District Junior Stars In Your Eyes champion who starred as Cosette in Les Miserables and also as Elsa in MADS Frozen showcase. Tickets, £6, can be purchased from Print Business Supplies, Lurgan, Winnies Newsagents, Portadown, Greenes, Legahory and Moyraverty Centre, Craigavon every Saturday morning. Alternatively come along and pay at the door and be allocated a seat.